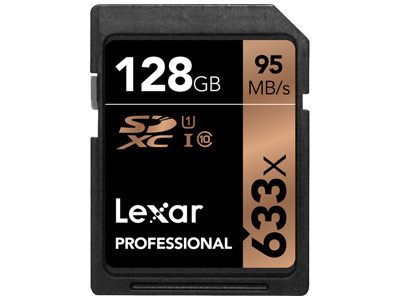 Get a free Lexar Pro 128GB 633x memory card with this purchase. 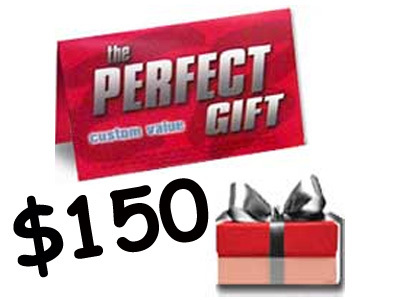 A value of $125. The Sony Cyber-shot DSC-RX100 IV Digital Camera is a versatile and advanced point-and-shoot featuring a large 20.1-megapixel 1" Exmor RS CMOS sensor to produce high-resolution still imagery and 4K video. 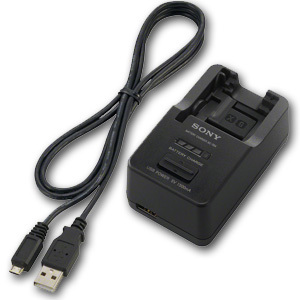 This sensor's construction utilizes a stacked backside-illuminated design to improve clarity and image quality when working in dimly-lit conditions as well as to increase its sensitivity to a native ISO 12,800. By completely placing the camera's photodiodes over the sensor's processing structure, the light-gathering ability of the Exmor RS CMOS sensor is further improved over previous backside-illuminated devices and faster image processing capabilities are added as well. 16 fps of continuous shooting is made possible as well as UHD 4K movie recording with the option of Super Slow Motion frame rates of up to 960 fps. Also benefiting the performance of this sensor is the BIONZ X image processor, which helps to produce images with smooth quality and tonal gradations. 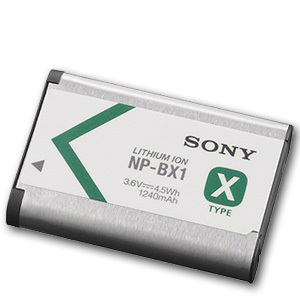 To make ultra-high definition video captures convenient, short 4K clips of up to five minutes can be recorded with no line skipping or pixel binning as well as with minimal moiré and visual aliasing. 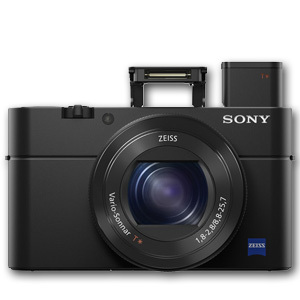 The Sony Cyber-shot DSC-RX100 IV Digital Camera is NTSC and PAL switchable, while utilizing the XAVC S format to maximize high-bitrate shooting up to 100 Mbps for professional-quality video. When recording, creative potential is further extended with the ability to capture Super Slow Motion High Frame Rate movies at up to 40x slower than real time. These slow motion clips are recorded at 960 fps, 480 fps or 240 fps and can then be played back at 1920 x 1080, in either 60p, 30p or 24p. While recording at video resolutions lower than 4K, such as Full HD 1920 x 1080p, video clips up to 29 minutes in length can be saved. Ultra-high definition video capture is made convenient with the ability to record short 4K clips of up to five minutes with no line skipping or pixel binning and with minimal moiré or visual aliasing. The XAVC S format is utilized to maximize high-bitrate shooting up to 100 Mbps for professional-quality video. When recording in either the NTSC or PAL video standard, creative potential is further extended with the ability to capture Super Slow Motion High Frame Rate movies at up to 40x slower than real time. These slow motion clips are recorded at 960 fps, 480 fps or 240 fps and can then be played back at 1920 x 1080, in either 60p, 30p or 24p. At resolutions below 4K, including Full HD 1920 x 1080p, movies up to 29 minutes in length can be saved. Nine aspherical elements, including two AA (advanced aspherical) elements, are incorporated into the lens design to minimize chromatic aberrations throughout the zoom range to benefit creating sharp, clear imagery. The lens also features a Zeiss T* anti-reflective multi-layered coating to help minimize lens flare and ghosting in order to produce imagery with rich contrast and colour neutrality. Benefiting the 2.9x reach of this lens, as well as supporting working in difficult lighting conditions and with longer shutter speeds, is Optical SteadyShot image stabilization, which helps to offset the effects of camera shake. Additionally, a neutral density 0.9 filter is incorporated into the camera's design, which provides a reduction of three stops in exposure to enable working in bright conditions with wider aperture settings and for greater control over how subject movement is rendered. Built-in Wi-Fi connectivity enables instant transferring of imagery to mobile devices for direct sharing on line to social networking, via email, and to cloud storage sites. NFC (Near Field Communication) is also supported, which allows for one-touch connection between the camera and compatible mobile devices, with no complex set-up required. Once connected, the linked mobile device can also display a live view image on its screen and, using Smart Remote Control, remotely control the camera's shutter release.